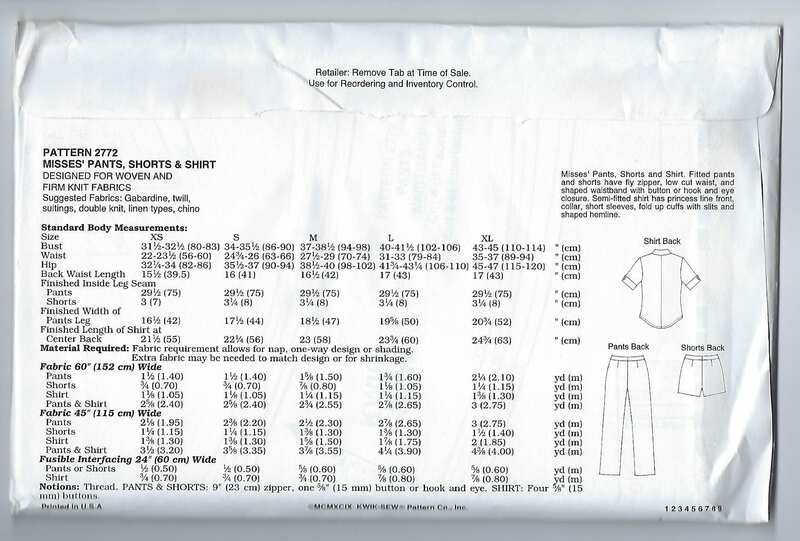 Package contains patterns and instructions to make MISSES Pants, Shorts and Shirt. 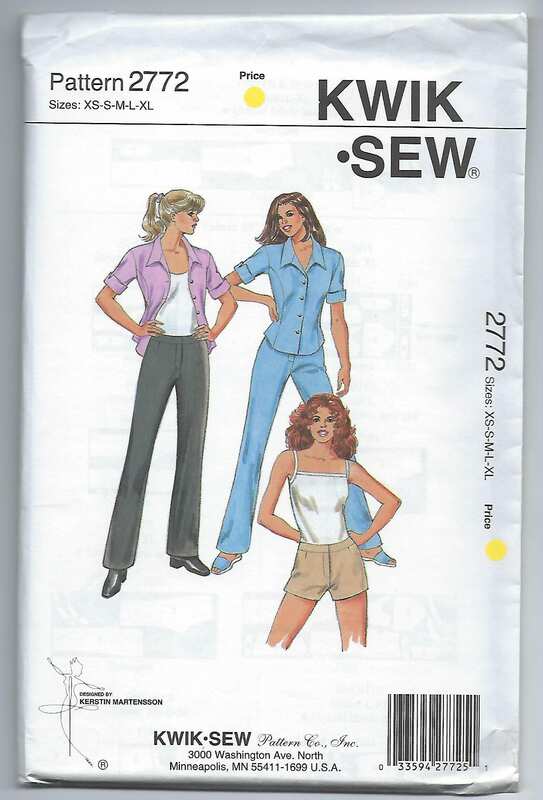 Fitted pants and shorts have fly zipper, low cut waist, and shaped waistband with button or hook and eye closure. Semi-fitted shirt has princess line front, collar, short sleeves, fold up cuffs and slits and shaped hemline. For Woven and Firm Knit Fabrics. Designed by Kerstin Martensson.